The IIL type vertical in-line pumps feature a space saving, top pull-out design which allows versatile applications in a wide range of industries. 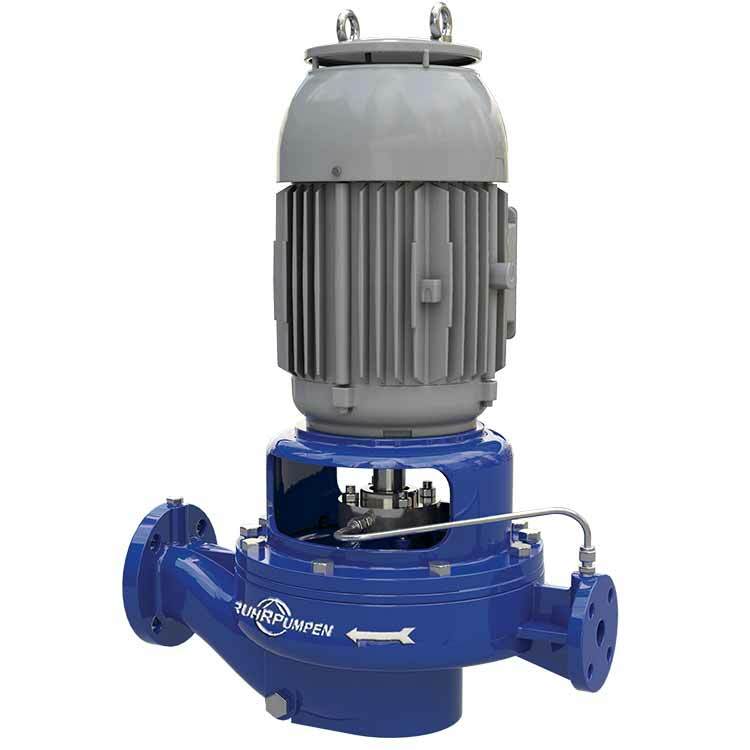 These pumps can meet the requirements of the ANSI B73.2 specification for chemical process. The IIL ANSI Vertical In-Line Pump meets the requirements of the ANSI B73.2 specification for chemical process. It is an integral one-piece pumping unit, suitable for in-line pedestal mounting with a compact top pull-out design.